The Supa-Wing is an Australian Made wrap around awning using heavy duty Australian Made canvas which is waterproof, rot & mildew resistant and is UV stabilized and easy to set folding legs. There is nothing better than pulling up at a great spot in the outdoors and enjoying the scenery. What makes it even better is to know you have a great shady spot near the car. With this great Australian Made Wing Awning, you can do just that. 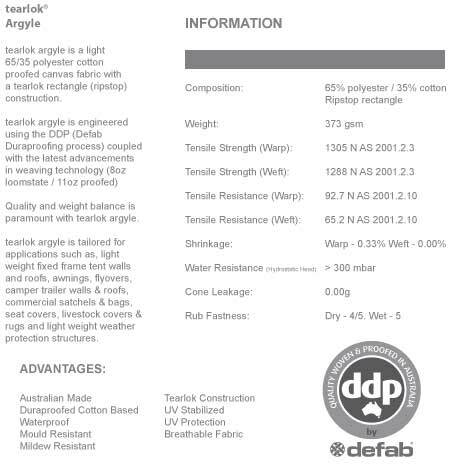 Manufactured using Australian Made Dyna Proof Canvas, that has been tested for our harsh environment and quality fittings that are made by Supa-Peg Australia, this is the ultimate wing awning for the outdoors. This product is sold under license from Supa-Peg Australia. Incorporates the latest technology to protect you from the elements, including these special features. If you have any questions or concerns please contact us ASAP.